Replacing a furnace is a big investment, and no one understands that better than Logan A/C and Heat Services. If you own your home for more than a few years, this task is likely to come up eventually. Our goal is to make it as simple and seamless as possible. We achieve this with excellent customer service to help you select a new furnace and expert installation to ensure it works well for years to come. 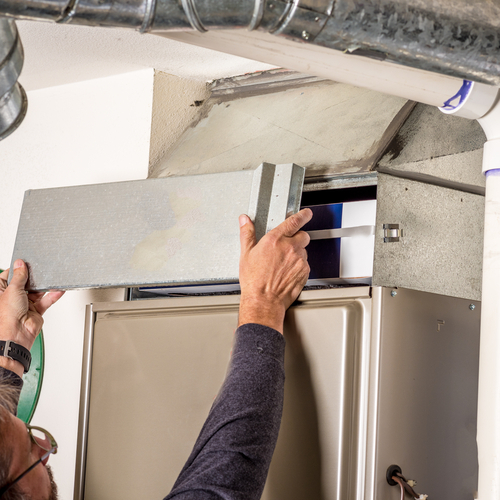 Your furnace is 10-15 years old: Older machines are more likely to break down and require costly repairs. Replacing it at a good time for you may be a better investment in your comfort. Output is going down: Your furnace’s stated efficiency is as good as it gets with a new machine and perfect maintenance. Over time, that efficiency will drop. Energy bills are going up: If your furnace is starting to show signs of wear, you will probably notice it first in your utility bills. Air quality is questionable: When we replace your furnace, we can often improve your home’s indoor air quality. You need major repairs: We want to help you avoid throwing good money away. If the repair estimate is more than half the new furnace cost, you may get a better result with replacement. What Does Heating Furnace Replacement Cost? Since homes are so different, it should not surprise you that the furnace replacement cost can vary quite a bit. If you need new heating equipment, our Comfort Consultant will identify the best choices for your home. At Logan A/C and Heat Services, we offer a variety of financing options that you can consider. Our competitive pricing and commitment to your satisfaction may put your worries to rest. As an added benefit, you might notice a big improvement in your energy bills once installation is complete. Select the city nearest you to locate your neighborhood and discover more about our company. You can call our locations by number or reach out to our emergency hotline at 1-800-564-2611. You can also email info@logan-inc.com. Furnace replacement can be a snap when you go with Logan A/C and Heat Services. Contact us today to schedule a consultation or get more information about our financing options.